Indian-style marinade with ginger, chilli and cardamom. Tandoori is a restaurant favourite originating from the Punjab region to describe dishes cooked in hot, clay ovens called 'Tandoors'. 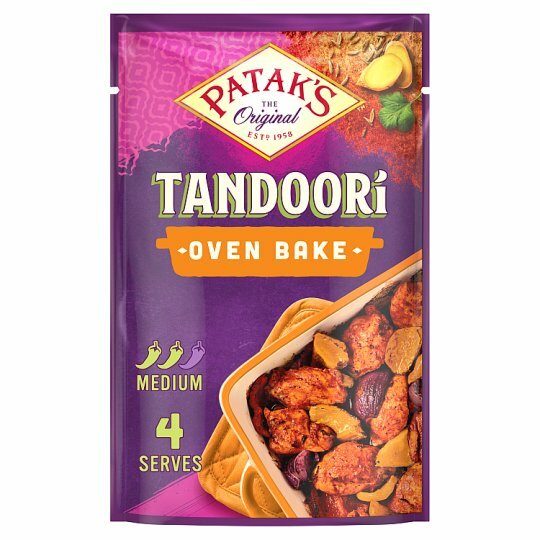 Patak's New Tandoori Oven Bake is a quick & easy marinade, made with fragrant ginger, cardamom and chilli- perfect for you to create a mouthwatering and authentic Tandoori style dish at home. Also delicious with chicken breast, or swap out the chicken for fish, vegetables or paneer for another delicious and vibrant meal.